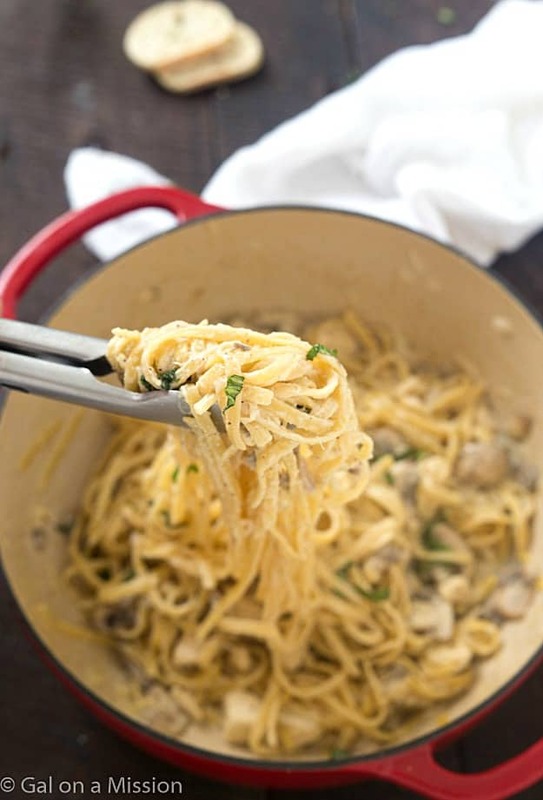 One-Pot Chicken and Mushroom Fettuccine Alfredo – Only requires just one pot! Ready and on the table in 30 minutes! Hey there! It’s Chelsea from Gal on a Mission, here again, bringing out one heck of a delicious dinner option! 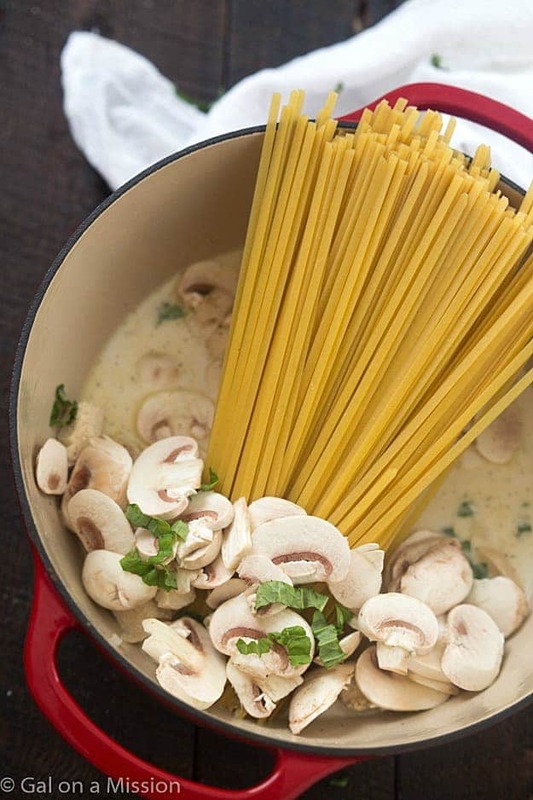 One-pot meals are always a wonderful addition to a busy and chaotic week! Wouldn’t you agree? What if I told you it could be made with leftovers and be on the table in about 25 minutes? Oh yeah. For the chicken, I used one medium sized chicken breast diced into 1″ chunks. If you do not have any leftover chicken breasts, rotisserie chicken works great, as well. Just remember to add about 1-2 cups of shredded rotisserie chicken. Today I am over at The Recipe Critic sharing this recipe!